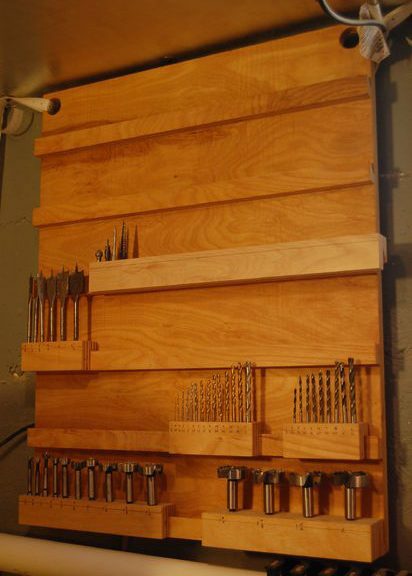 An open cupboard for storing drills, bits, cutters and other tools for drilling tools (drill, perforator, screwdriver, etc.) is quite simple to manufacture. The convenience of this homemade work is thatThe nozzles can be sorted, which means that it takes literally seconds to find what you need. This is not an endless digging in cans and various boxes. 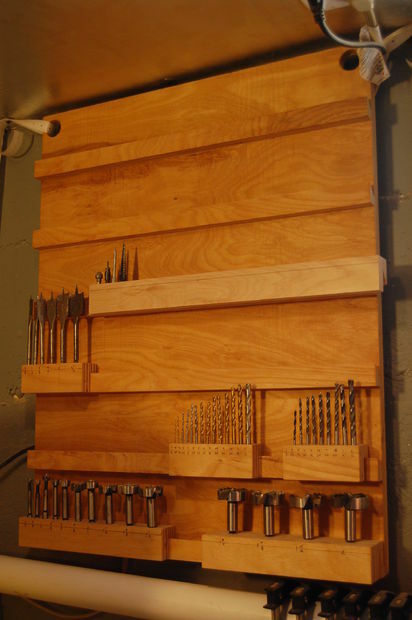 If necessary, "shelves" with drills can be changed to others or simply add new ones, if there is not enough space or you need a different hole size.